Worshipful Brother Brian Kramer was the Worshipful Master of Lodge Southern Cross for 2016-2017. Biography: Brian Kramer was born at a very early age in St Paul, Minnesota, in a snow storm (almost in a taxi) & moved to Sydney, Australia in 1985. Brian is married to Siew Fong, and has 2 adult daughters: Caelin & Leah. Brian has worked for 25 years in the IT industry in a broad variety of roles (consultant, manager, software developer, etc), and for the last 6 years has been a vocational trainer for young people with intellectual disabilities, enabling them to join the open work force. Worshipful Brother Fabian Hill was the Worshipful Master of Lodge Southern Cross for 2015-2016. David is a software developer in the medical industry, and has a Bachelor’s degree in Chemical Engineering. He was initiated into Lodge Southern Cross in 2001 through the Membership Assistance Scheme, and served as its Worshipful Master in 2007-8 and again in 2014-5. He is also a foundation member of Lodge Kellerman 1027, and formerly a member of Macquarie Mark and Royal Arch Chapter. David is a native of Sydney and is married with two boys. He is fond of informing new members that, having started in 1881, Lodge Southern Cross is older than Australia, which was only federated in 1901. Heath is an Industrial Chemist by trade. After completing a Science Degree majoring in Chemistry, he has since worked his way through a successful career spanning 19 years and now holds the role of NSW Distribution Manager in a Chemical Plant in Port Botany. He became a Freemason by investigating the origins of a Masonic Medal his late Grandmother left behind, which belonged to his Great Uncle. His research lead him to the Grand Lodge, which in turn, upon Heath’s request, guided him through the processes in becoming a member himself. Heath was initiated into Lodge Southern Cross # 91 on the 13th January 2009, Passed on the 13th October 2009 and Raised on the 30th March 2010. Since joining, Heath has been a very active member of the Lodge, serving as a stand in for Junior and Senior Deacons aswell as fulfilling his duties in the roles of Junior and Senior Wardens, in which he was invested in 2011-2012 respectively. Heath found his passion working with Membership while holding the office of Membership Officer from 2010 to 2013. 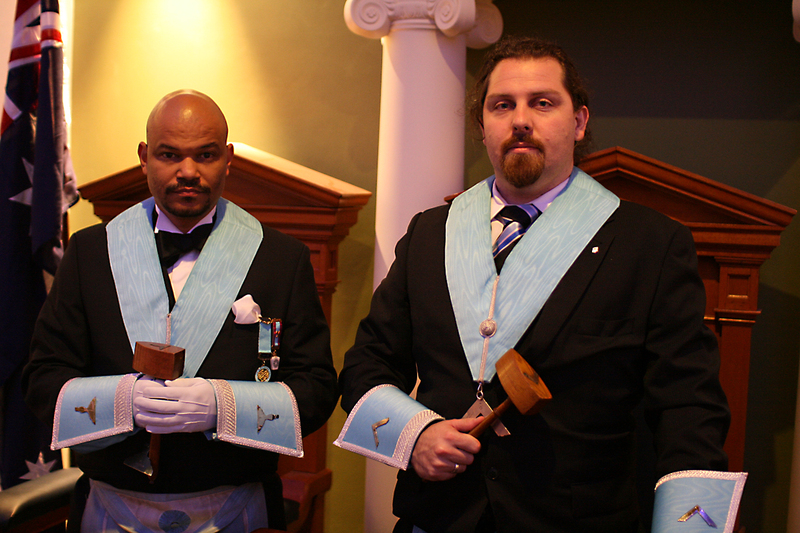 With his assistance, many fine men have been guided into the Lodge Southern Cross ranks. The techniques that Heath assisted the Lodge to develop in Membership have proven highly successful and are used as examples in many Lodges throughout different jurisdictions. Heath has also been Advanced in the Macquarie Mark and Royal Arch Chapter # 186, Perfected in the Wentworth Sovereign Chapter # 45 and Inducted into the Aurora Australis College. He is also a very keen and passionate affiliated member of Lodge Castlereagh # 72 and has recently been presented with a District Service Award for his attributions towards Membership and Secretarial work within District 125. 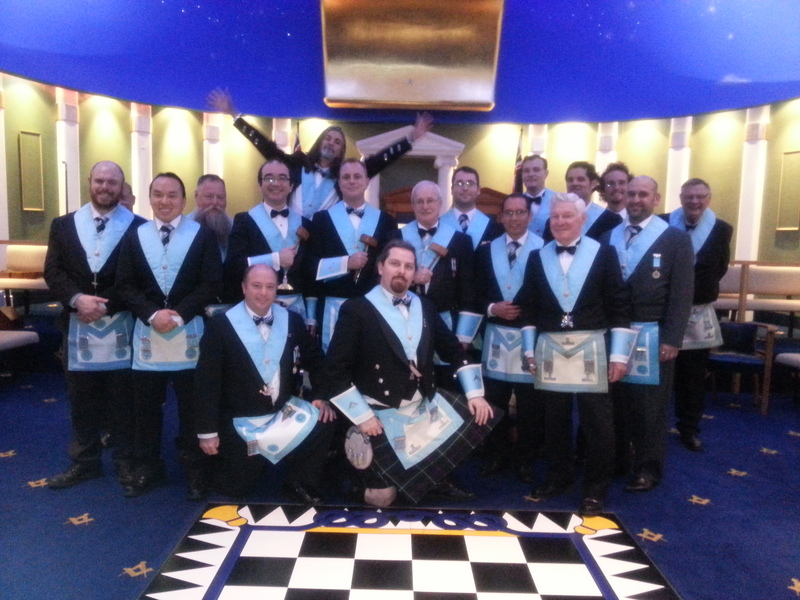 As the 133rd Worshipful Master of the Lodge, Heath intends to reinforce the true ethos of Lodge Southern Cross, promoting Education, Retention and Community while focusing on the strengths of the members and embracing the opportunity to assist every member in being able to create positive enhancements to their Masonic and personal lifestyles. 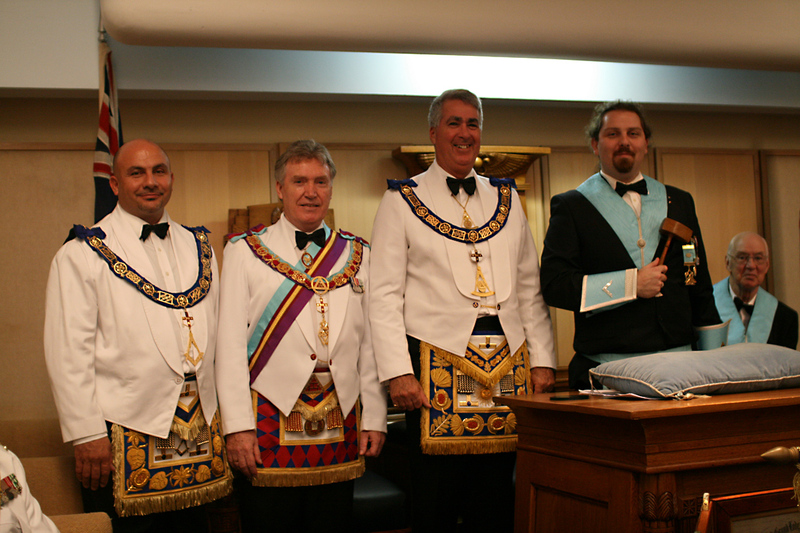 Heath was installed into the Chair of King Solomon by Worshipful Brother Kendall Merrick, making the ceremony a momentous and extremely special evening. Kendall is a highly esteemed Mason and member of the community who has mentored Heath from the point of his initiation. Since then, this is one of many treasured and valued friendships that Heath has made throughout his Masonic journey. As per his duties of his profession, Damon advised and set the tone for the lodge at a distance. His legacy is to ensure one of the most harmonious years of that Lodge Southern Cross has enjoyed. 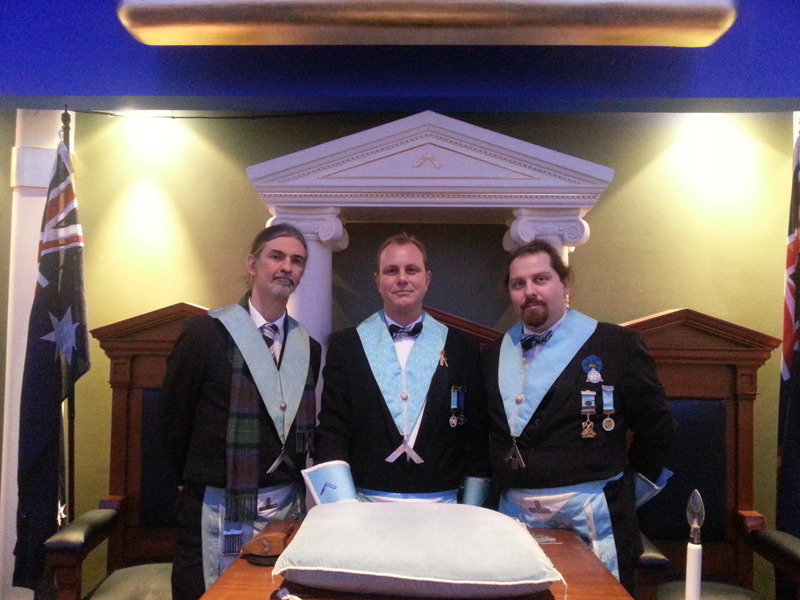 Throughout Damon’s mastership of the Lodge, all the Past Masters were also incredibly fortunate to relive their time as chair, in the direction and presentation of the ritual. Damon was installed into the Chair of King Solomon by his predecessor, Worshipful Brother Albert Nii-Attoh Attoh. Worshipful Brother Albert Nii-Attoh Attoh was the Worshipful Master of Lodge Southern Cross for 2011-2012. He is happily married to Felicia and they have a year old son, Darryn. Albert is an IT professional with over 15 years’ experience in the Industry. He holds a bachelor’s Degree in Computer Science and Statistics and is currently doing a Masters of Business Degree in Information Technology Management. The Master in the Chair, just after initiation. He became a mason by nurture and by nature, and as a Lewis was Initiated, Passed and Raised in Lodge Ada No. 1714 on the roll of the Grand Lodge of Scotland, in Ada, Ghana; a lodge of which his late father, Dr Victor Aryeetey Attoh, was Right Worshipful Master in 1992. Lodge Ada 1714 SC is now Ada Lodge 67 on the roll of the Grand Lodge of Ghana; Albert served as Inner Guard and junior Deacon of Lodge Ada. Albert has visited a number of Jurisdictions including Irish and English Lodges and also attended the Grand Communication of the Grand Lodge of Scotland. Albert relocated to Australia from Ghana in February 2007 and first affiliated to Lodge Southern Cross No 91 on 8 May 2007. Albert is also a member of Lodge Phoenix 1034. Since joining the Lodge in May 2007, Albert has been a very active member of the LSC91 and served as Senior Deacon, Junior and Senior Wardens. Albert is also a Mark Master Mason and a member of the Royal Arch. As the 131st Worshipful Master of the Lodge, Albert intends to continue with the excellent and hard work put in by his predecessors and also to further promote a deeper sense community amongst its Brethren. 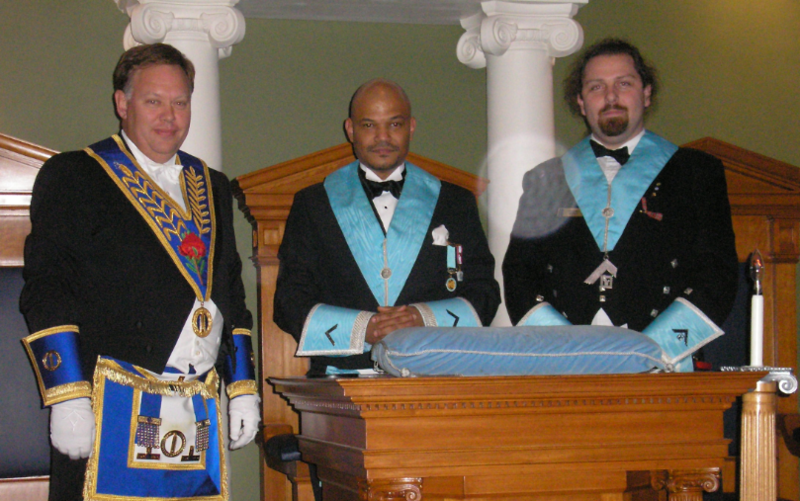 Albert was installed into the Chair of King Solomon by his predecessor Worshipful Brother Kendall Merrick. Kendall M Merrick was Worshipful Master of Lodge Southern Cross for the years 2007-2008 & 2009-2010. Kendall has enjoyed a varied and enjoyable life in many different roles & environments. He was born in Sydney and lived in some of the nicest parts of the world such as Tasmania, Northern NSW, London, Yorkshire and Germany. Despite leaving university to work in IT, Kendall’s career has moved around various professions, such as Hospitality & Building before finally settling into a career in Finance and Financial Markets. He was Initiated, Passed & Raised in to Lodge Southern Cross, and has since found much serendipity within the many orders within Freemasonry which complement his membership in orders and activities outside of the Freemasonry. Kendall descends from a family of Masonic Brethren (he holds paraphernalia from at least seven consecutive generations) and is a keen advocate in making Masonry relevant and engaging for the Men of Today. Due the standard of the work that he achieves at Lodge Southern Cross, Kendall has been called upon to perform ‘Southern Cross Style’ degrees at other lodges. These are the standard NSW constitution degrees, yet with a team of brethren willing to learn the entire ritual and to perform it with pride and passion for the benefit of the Lodge and the Candidate. Both the Lodge and the Master were born and have grown up in Australia, & both are very proud of their Scottish Heritage. Kendall often wearing his Mackenzie Tartan Kilt to Lodge Meetings, and the Lodge displays its original Scottish Charter with its other 2 charters issued, respectively, by the Grand Lodge of New South Wales and the United Grand Lodge of NSW & ACT. Kendall was Installed as the 128th Master by David Coburn, the 127th Master who retired from being the Grand Organist to accept his Patent of Office as the District Grand Inspector of Workings (Equivalent to the UK Provincial Grand Master) for District 124. Unfortunately, David had suffered ill health over the last few years and passed away onto the Grand Lodge above in November 2010. Kendall proudly supported David in his role as DGIW as his District Formation Officer. 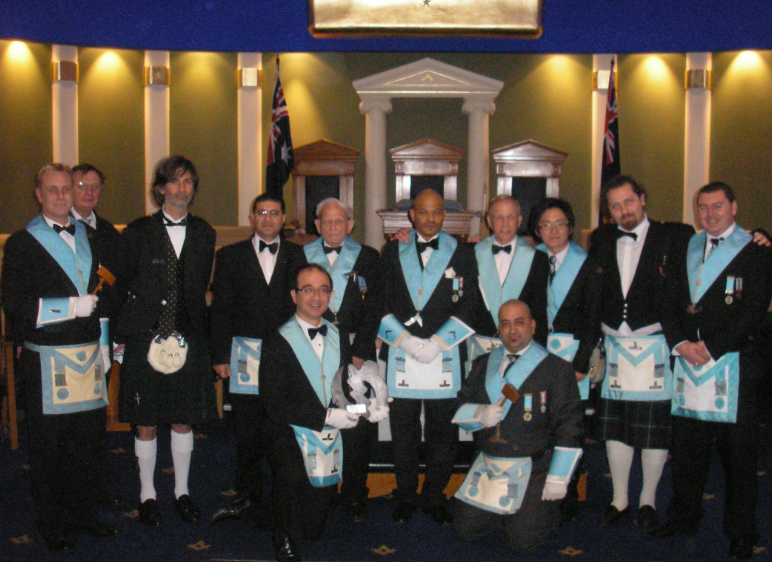 They were firm friends who enjoyed many of the Masonic Orders together, such as can be seen from the Photo above. 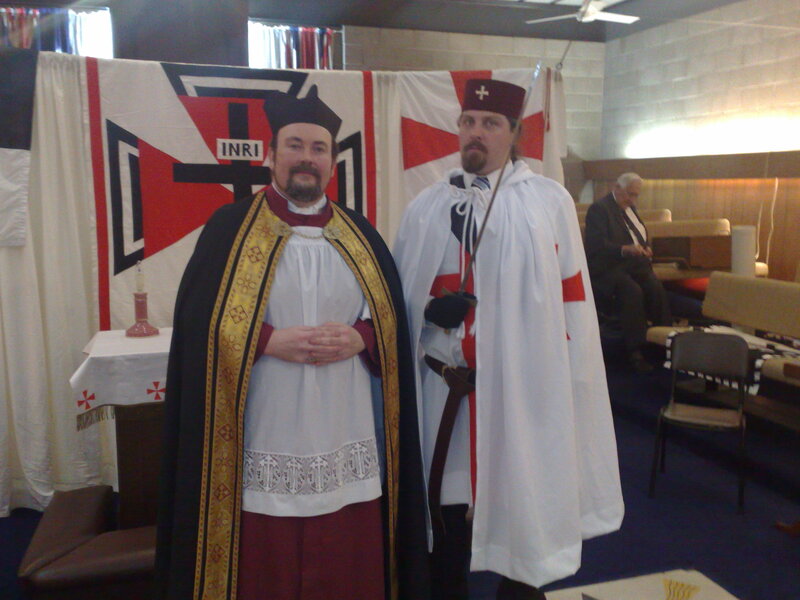 This was taken in the United Religious Military and Masonic Orders of the Temple and of Saint John of Jerusalem, Palestine, Rhodes and Malta in New South Wales and the Australian Capital Territory, which is a degree available for Master Masons in NSW. David Coburn was 127th Worshipful Master of Lodge Southern Cross for the years 2009-2010. Officership Achieved: Inner Guard, Junior Deacon, Senior Deacon, Senior Warden, Chaplain, Master 2009/2010 and Immediate Past Master 2010/2011.